A detached house is the dream of many people. No neighbours next to the wall, quiet surrounding, living in the nature. 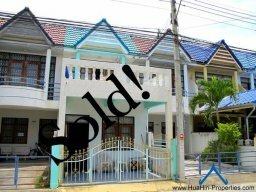 Here you find offers for houses for sale in Cha-Am and in the surrounding of Cha-Am. The houses have a big wall for your safety and you also can have security by the local police, who can take care of your property when you are not in Thailand. Building a house in Cha-Am Thailand is not very expensive. You can have a luxury house in European style with 3 bathroooms and 3 bedrooms for little money. 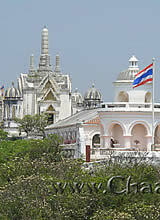 The Thailand law does not allow foreigners to own land. But there are some legal possibilities, how you can officially own your property. Günstiger Preis für ein großes 3 Schlafzimmer Reihenhaus mit großem Balkon in Cha-Am. This property is about 2 km away from the beach and about 1 km away from the city center. Kaufen Sie jetzt ihr Traumhaus nahe vom Zentrum in Hua Hin. This property is about 7 km away from the beach and about 6 km away from the city center. Luxus Villa in dem Palm Hills Golf Resort mit Panoramablick auf den Golfplatz zum Kauf. This property is about 8 km away from the beach and about 6 km away from the city center. End of the search results.